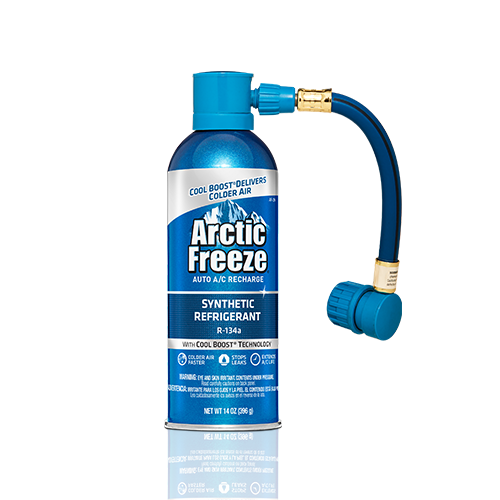 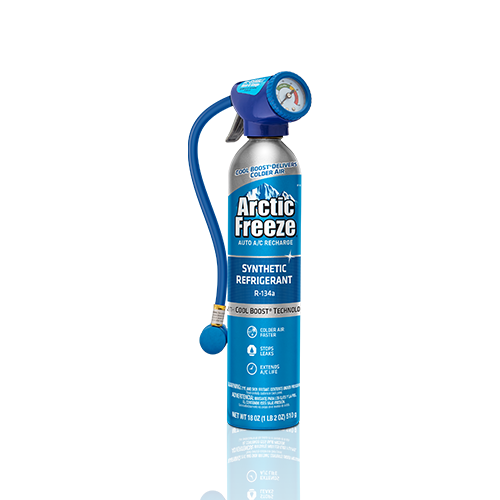 The Arctic Freeze® synthetic refrigerant leak detection and recharge kit contains two 10 oz. 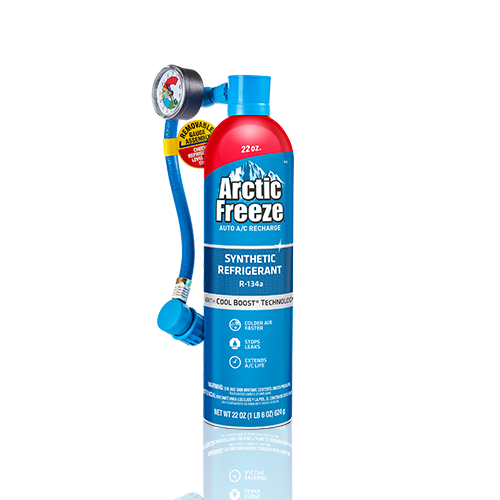 cans of R-134a with additives that are able to recharge a vehicle's A/C system, seal common leaks in rubber components, and help extend the A/C system's life by eliminating acid and moisture buildup. 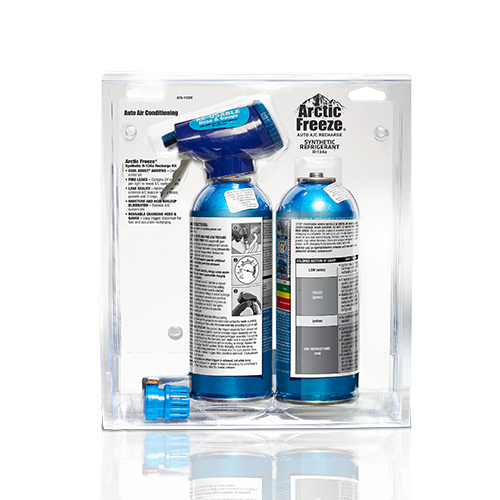 The included UV pen light reveals the leaks your system has by highlighting the UV dye additive in the formula. 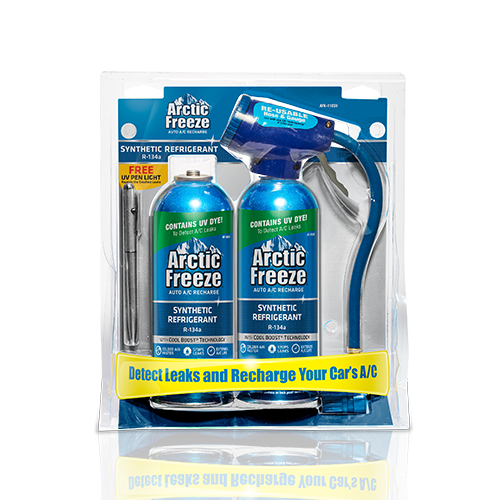 This A/C recharge kit comes with a reusable charging hose and gauge.